Ok, those who read my initial post will know I'm effectively the n00b of the group. A bit of a historic background in wargaming but completely new to 40k. 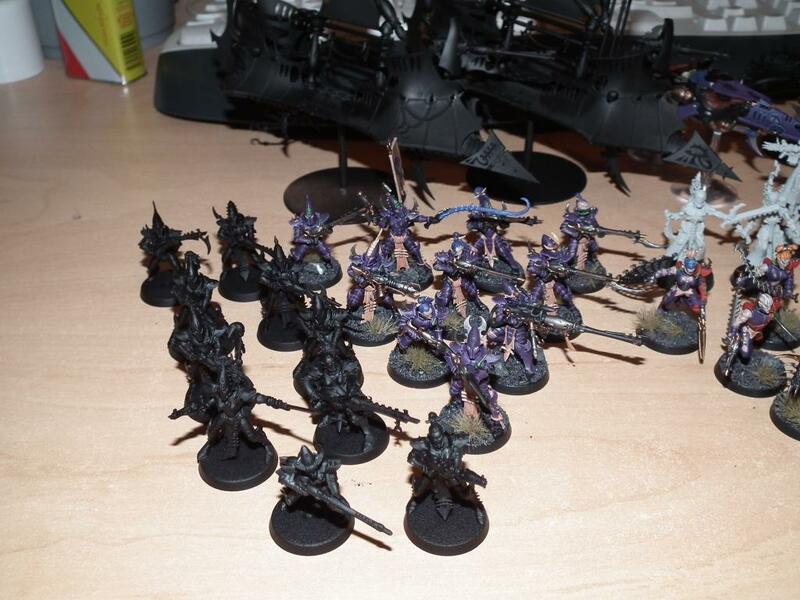 My choice to go with Dark Eldar was based purely on the fact I thought they looked good, with no research in to their background or effectiveness on the field. I started with the battleforce and have been adding bits on here and there as I go. I took a similar approach with my initial assembling and painting. Not really working with a particular list in mind, just going with what I thought looked good. Once I started reading up on them the more pleased I was with my choice. They favour lighter armour and the hit and run approach to combat. With that in mind I'm starting to tailor things a little more, working on things with a more of a list in mind. As I build up the army I intend to make full use of vehicles and webway portals. I did a lot of research in to my colour scheme before deciding to go with my own interpretation of the Kabal of the Poisoned Tongue. I had toyed with the idea creating my own Kabal but I'm not the most inspired person in the world and coming up with a name was proving difficult enough, let alone a colour scheme. There were two main reasons for going with the Poisoned Tongue. The first was the colours. I've always thought dark blue/purple was a very good colour for the drow/dark elves so it seems a natural fit (and, as I'm colour blind, anything which avoids reds, greens and browns is a big plus). The second was Lady Malys. I liked the idea of having a Kabal with a named leader and after a lot of trawling online it became clear that she didn't have her own model. I saw some cracking conversions. Although I have some experience with painting it's not my strongest point but I like the idea of attempting a conversion for myself. A little ambitious for my first attempt at a conversion maybe but I figure you have to start somewhere. Anyway, on to the matter at hand. 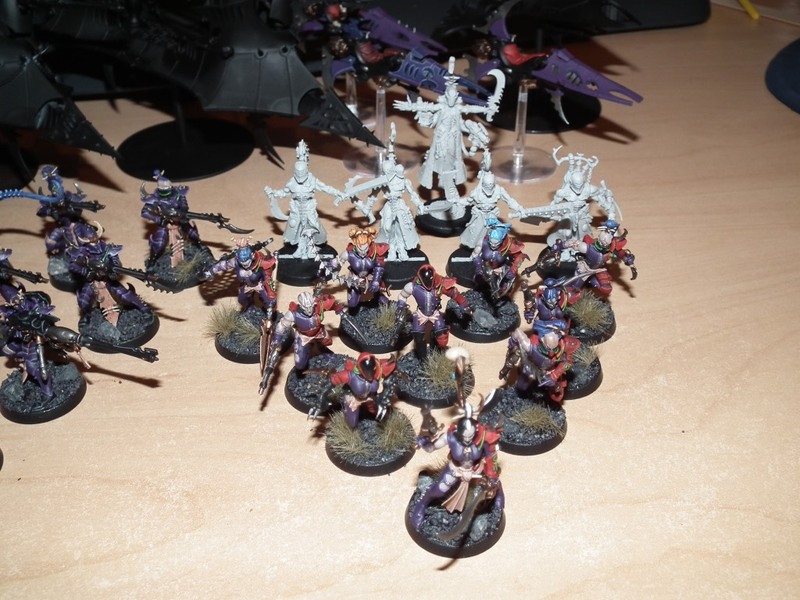 As you can see, I've made some progress with a squad of Kabalites and a squad of Wyches complete and I've made a start on three Reavers. My mission this month, should I choose to accept it, is to finish the reavers, the Venom and at least one of the Raiders. 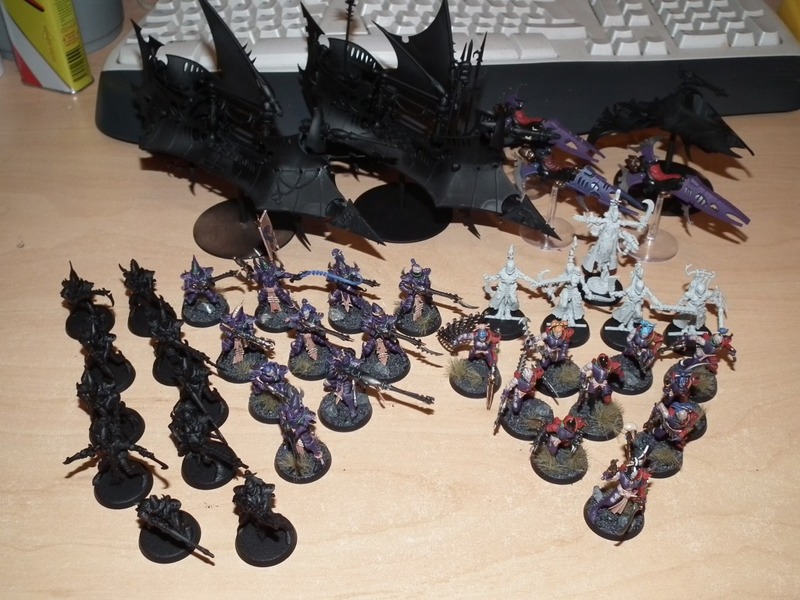 I've enjoyed all the painting so far and the Reavers are good to paint but I'm reaching the point where I'm starting to feel a little intimidated. The vehicles are bigger than anything I've painted in the past and will require some quite detailed little touches. 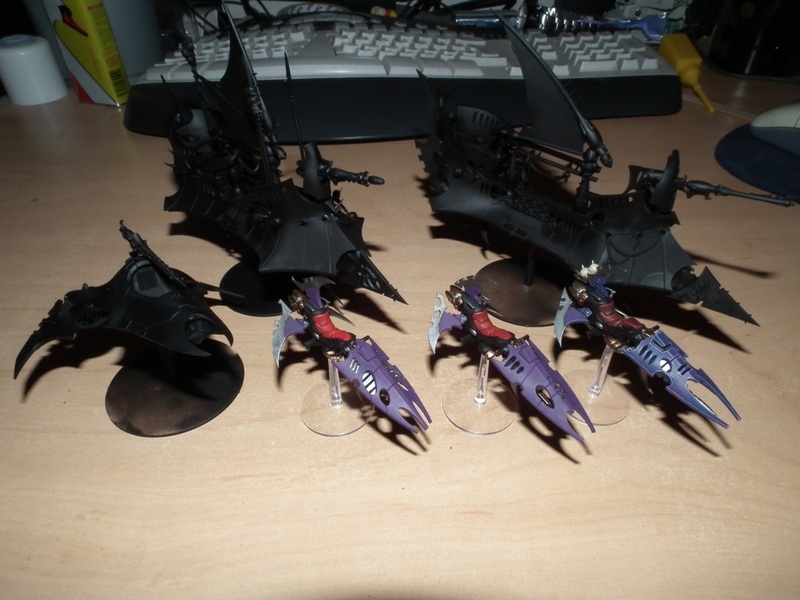 I intend to keep with the Poisoned Tongue scheme for the Reavers (yes, I know the Reavers are Wych Cult affiliated rather than Kabal) and the Raiders but I'm going to try something different with the Venom as I'll be using it as a transport for my Haemonculous HQ and Wracks. Exactly what 'something different' will be I have no clue but I'm sure I'll think of something. I'll post updates as soon as I've actually done anything. I really like the purple scheme, and those first few units look really good. Bases are great too, what is that grass stuff you are using? Cheers, it's Army Painter Winter Tufts. Decided I wanted a bit of a blasted wasteland theme.